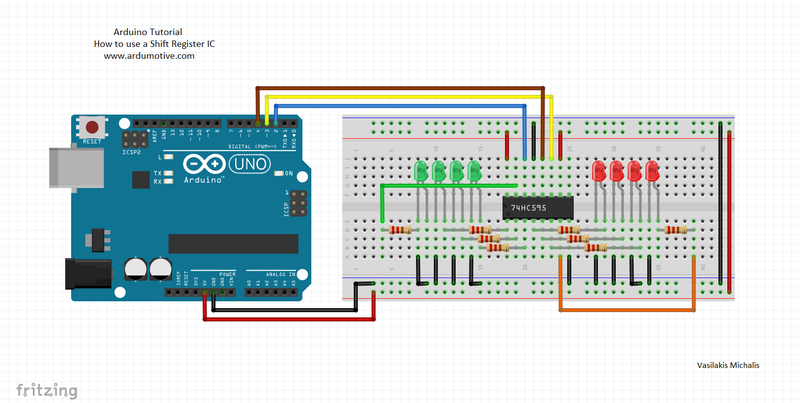 In this tutorial you will practice by using the shift register with Arduino uno to control 8 LEDs. We will use example sketch from ShiftRegister74HC595.h library. 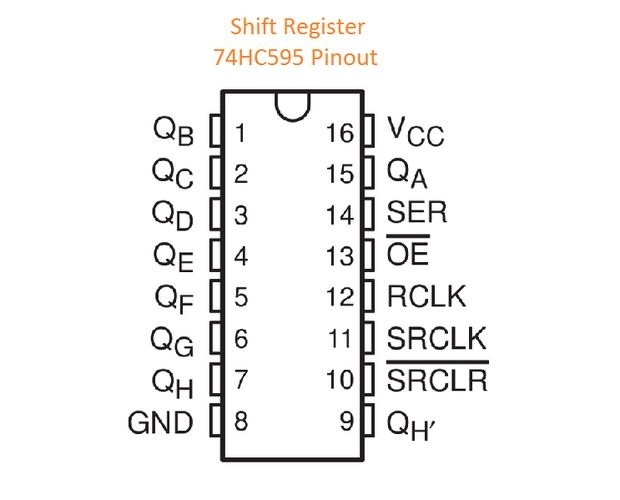 ShiftRegister74HC595.h - Library for easy control of the 74HC595 shift register. Created by Timo Denk (www.simsso.de), Nov 2014. Download the code from here and open it with Arduino IDE. Inside you will also find additional libraries. You have successfully completed one more "How to" tutorial and you learned how to use a shift register ic with Arduino. I hope you liked this, let me know in the comments. You can also post photos with your circuit!